The combination of noodles and soup is a classic for a reason! This form of noodle dish is great, especially for the colder seasons, even though they are a favourite all year round. With flavourful broths, different noodles, and a variety of fillings, there’s guaranteed to be a noodle soup that suits your taste. The noodle soup is a staple of multiple Asian cuisines, so we’ve narrowed down a few dishes that are a must-try for you to get a variety in taste! 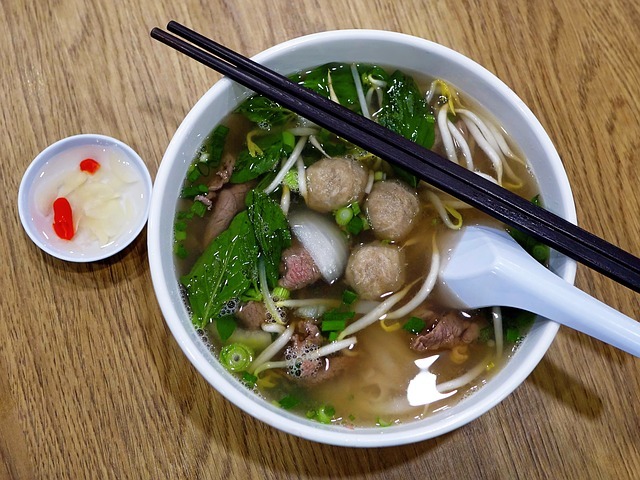 One of the most well-known noodle soups, the Vietnamese pho is a classic that never fails to please. It is served with rice noodles and most commonly has a beef broth, although it can be cooked with chicken as well. The broth takes several hours to make and what makes the dish so unique and tasty. Topped with bean sprouts, cilantro, lemon, and chili peppers, the soup has a variety of flavours that fuse together perfectly. This Cantonese noodle soup is arguably one of the most popular Chinese dishes. Its signature component is the wonton, a small dumpling with minced meat filling – often pork or prawn meat. Served with egg noodles, barbecue pork, and Chinese vegetables, wonton soup noodle is one of the dishes you must try! For people who love spice, laksa is the noodle dish for you! A fusion of curry and noodles, this delicious dish is often served with seafood, a boiled egg and tofu in its soup. Coconut milk creates a creamy, rich flavour for the dish, and its variety of toppings are sure to please. It’s a great dish for anyone that enjoys curry! This Chinese variation of beef noodle soup is characterised by its dark brown soup. Made of stewed or braised beef, the broth can take up to 24 hours to make before being served! This ensures that the flavour is rich and tasty. It is often coupled with Chinese vegetables and a hand-pulled noodle with a unique texture! Noodle soup dishes are a staple in many Asian cuisines, which plenty of variations in the noodles used, the broth, and the toppings. With so much choice, there’s guaranteed to be a combination that suits you! Try one of the noodle soup dishes above to expand your palate and taste a variety of flavours! There are hundreds of different Asian noodle soups to choose from, but these four are a great start.